At Ocean View Chiropractic we feel that providing a superior level of care to our patients is more than important, it is mandatory. Our friendly and helpful medical team is dedicated to not only treatment of symptoms and pain management but to finding the overall cause of the problem and eliminating it at the source. Correcting this root cause is the biggest step in allowing your body to function at its optimum level. We are here to provide you all of the latest techniques in chiropractic care. Our massage therapy supplements your adjustments and helps get you better faster. 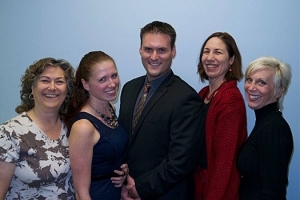 Ocean View Chiropractic has been serving the Hampton Roads community for over 20 years. Originally established in 1994 by Dr. Rosalie Sanchez, Ocean View Chiropractic was a home away from home for many of the Ocean View locals. Patients flocked in for their adjustments, massages and to hear Dr. Rosi sing. Now under the new ownership of Dr. Michael Connelly, minus the singing, Ocean View Chiropractic plans to remain a center for wellness for Norfolk and the greater Hampton Roads area. In our practice we strive for excellence through superior patient care and a solid foundation through education. We teach our patients exactly what chiropractic care is and how it will benefit them with their specific problem. We educate them on what to expect in the beginning stages of their care, as well as other symptoms that may improve throughout their treatment. This provides patients with a strong foundation and a high level of expectation on their very first visit. We do our best to instill the core values of wellness into our patients, encouraging good posture, stretching and at-home exercises. This specialized care program ensures that our patients get the full benefit from their chiropractic care. We also have a focus on overall health reminding patients of the importance of proper hydration, good sleeping habits and helpful nutrition advice. Ocean View Chiropractic utilizes manual adjustment techniques and also practices several low force techniques for patients with certain needs. We also offer massage therapy, exercise therapy and therapeutic rehabilitation to help alleviate patient discomfort and to strengthen and stabilize the muscles around the spine. It is our goal to get our patients spine and nervous system restored to a healthy position to allow their body to heal quickly and perform at its peak. Most insurance plans cover chiropractor visits and care. If you are paying out of pocket, instead, we will find a payment plan that best fits your budget. Unsure if we accept your insurance? Click this link to find out. We want all of our patients to receive the best treatment possible. Give us a call today to schedule a New Patient appointment at 757-588-4000. Receive the best chiropractic treatment possible. Let Ocean View Chiropractic protect your family and manage your care. We give you security and peace of mind.